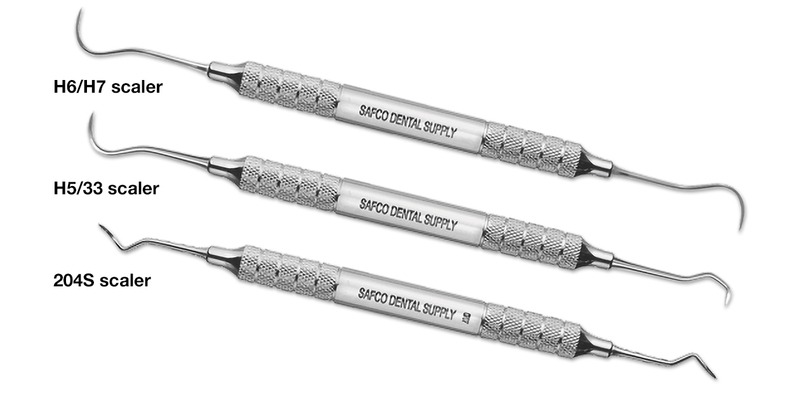 These medical grade stainless steel instruments provide a thin, sharp edge for rapid and effective removal of plaque, calculus and other deposits. The instrument tips are made of 440A certified high-carbon stainless steel cryogenically hardened to 54° to 56° Rockwell C. Instrument blades are finished to within 2° variance and subjected to 100% inspection. The wide 9.5mm (3/8") ergonomic handle provides the durability of stainless steel - but it’s as light as a resin handle due to its one-piece hollow design. The knurled fingergrip provides tactile sensitivity, control, and comfort.